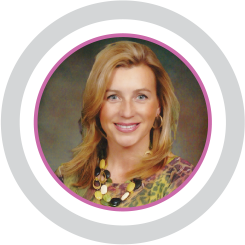 Dr. Agnieszka (Anna) Wolyn was born in Poland, where she graduated from medical school in 1990. With the collapse of the “Iron Curtain”, she and her husband Robert Wolyn, MD, came to Detroit area to be reunited with Robert’s mother. Dr Anna Wolyn completed her residency at William Beaumont Hospital , Royal Oak, Michigan and was certified by he American Board of Pediatrics in 1996. Anna Wolyn ,MD had always an interest in integrative medicine. She follows functional medicine approach utilizing integrative and conventional treatments. She sees patients (all ages) with chronic problems including GI issues, hormonal problems , chronic fatigue syndrome, fibromyalgia , migraine headaches, ADHD, ASD, obesity, thyroid disorders, metabolic syndrome, allergies, asthma, MS, autoimmune disorders and many others. Dr Wolyn was trained in DAN! Protocol and develops individualized treatments for each patient. While pursuing her passion for functional medicine she was also trained in LIVING YOUNGER -anti aging system- where she learned how to achieve an optimum health through lifestyle changes and personalized preventive program.